XP-8741-ATOM-CE6 has been phased out. Click here for replacement XPAC product details. XP-8x41-Atom-CE6 Series is the new generation Windows CE 6.0 based PACs of ICP DAS. 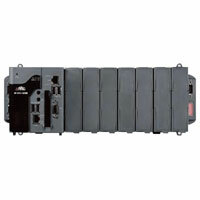 It is equipped with an Intel Atom Z500 Series CPU, various connectivity (VGA, USB, Ethernet, RS-232/485) and 0/1/3/7 I/O slots for high performance parallel I/O modules (high profle I-8K Series) and serial I/O modules (high profle I-87K series). The benefts of running Windows CE 6.0 on XPAC-Atom include hard real-time capability, small core size, fast boot speed, interrupt handling at a deeper level and achievable deterministic control. XPAC-Atom is also capable of running PC-based control software such as Visual Basic .NET, Visual C#,…. etc. 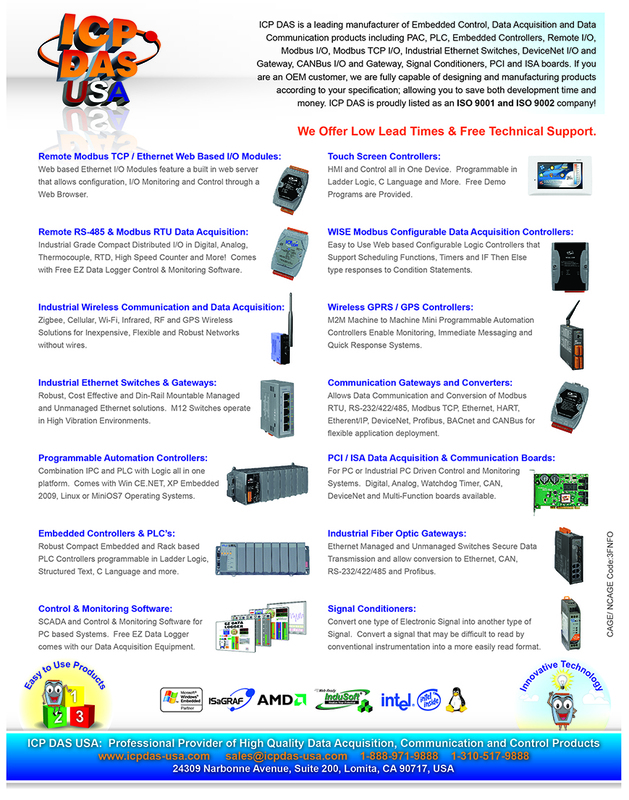 It has all of the best features of both traditional PLCs and Windows capable PCs.